Malcolm Gardner, PhD, has over 30 years of malaria research experience, most notably a leading role on the Plasmodium falciparum genome project. His group at The Institute for Genomic Research (TIGR) sequenced the 1st P. falciparum chromosome and 25% of the genome, and managed the publication of the genome sequence in Nature on behalf of the Plasmodium genome consortium. He also led or contributed to genome projects for Theileria parva, P. yoelii, P. vivax, the malaria vector Anopheles gambiae, and the fungal pathogen Coccidioides posadasii. Before genomics, he constructed and evaluated the protective efficacy of P. yoelii MSP-1 DNA vaccines at the Naval Medical Research Center, and isolated and characterized the P. falciparum apicoplast and mitochondrial genomes at the National Institute for Medical Research (NIMR) in London. A major goal of Dr. Gardner's over the past few years has been to characterize the apicoplast indirect aminoacylation pathway, which he discovered by comparative genomic analyses of Plasmodium and the related cattle parasite Theileria parva. He and his team demonstrated apicoplast localization of both enzymes, glutamyl-tRNA synthetase (PfGluRS) and glutamyl-tRNA amidotransferase (PfGluAdT), expressed recombinant enzymes in E. coli, and determined their kinetic properties. They also showed that GluSA, an inhibitor of bacterial GluRSs and PfGluRS, inhibited growth of blood stage parasites in vitro at submicromolar concentrations. He is collaborating with Ian Pass at the Sanford Burnham Prebys Medical Discovery Institute in La Jolla to develop a non-radioactive HTS assay to identify novel PfGluRS inhibitors as starting points for drug development. 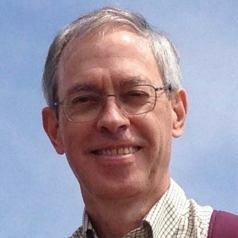 He is also working with JCVI synthetic biologist Chuck Merryman to express and characterize the novel Plasmodium apicoplast GatAB and the human mitochondrial GatCAB transamidosomes to extend understanding of transamidosome evolution and biochemistry, and identify differences between the two systems that could be exploited to develop novel antimalarials. Biochemistry of the Plasmodium (malaria) apicoplast indirect aminoacylation pathway. A two-enzyme biochemical pathway that supports apicoplast protein biosynthesis. Essential in blood stages of the human malaria parasite Plasmodium falciparum. The two enzymes that comprise the pathway, glutamyl-tRNA synthetase and glutamyl-tRNA amidotransferase, are encoded by nuclear genes and imported post-translationally into the apicoplast. Apicoplast glutamyl-tRNA amidotransferase has an unprecedented two-subunit composition that lacks the GatC subunit found in all eubacterial enzymes. Apicoplast indirect aminoacylation is a validated drug target: the nuclear gene encoding glutamyl-tRNA synthetase is essential in blood stage parasites, and an inhibitor of related bacterial enzymes killed blood stage parasites in vitro. Development of a high-throughput screening (HTS) assay for apicoplast glutamyl-tRNA synthetase. A collaboration with the Conrad Prebys Center for Chemical Genomics to develop a HTS assay for use in high-throughput screens to identify novel inhibitors as potential starting points for drug development. Characterization of the Plasmodium apicoplast transamidosome. In bacteria, glutamyl-tRNA synthetase, glutamyl-tRNA amidotransferase, and tRNAGln form a RNA-protein complex called the transamidosome. Preliminary data suggests that the equivalent Plasmodium enzymes also form a transamidosome, but one with a unique composition. Perform comparative biochemical analyses of the Plasmodium and bacterial transamidosomes to determine the similarities and differences between them, extending knowledge of transamidosome biochemistry into these important human pathogens. Plasmodium Apicoplast Gln-tRNAGln Biosynthesis Utilizes a Unique GatAB Amidotransferase Essential for Erythrocytic Stage Parasites. The Journal of biological chemistry. 2015-12-04; 290.49: 29629-41. The American journal of tropical medicine and hygiene. 2015-10-01; 93.4: 801-9. An immunomics approach for the analysis of natural antibody responses to Plasmodium vivax infection. Molecular bioSystems. 2015-08-01; 11.8: 2354-63. A nondiscriminating glutamyl-tRNA synthetase in the plasmodium apicoplast: the first enzyme in an indirect aminoacylation pathway. The Journal of biological chemistry. 2013-11-08; 288.45: 32539-52. Plasmodium vivax pre-erythrocytic-stage antigen discovery: exploiting naturally acquired humoral responses. The American journal of tropical medicine and hygiene. 2012-09-01; 87.3: 460-9. Science (New York, N.Y.). 2005-07-01; 309.5731: 134-7. Science (New York, N.Y.). 2002-10-04; 298.5591: 129-49. Genome sequence and comparative analysis of the model rodent malaria parasite Plasmodium yoelii yoelii. Chromosome 2 sequence of the human malaria parasite Plasmodium falciparum. Science (New York, N.Y.). 1998-11-06; 282.5391: 1126-32. Phylogenetic analysis of the rpoB gene from the plastid-like DNA of Plasmodium falciparum. Molecular and biochemical parasitology. 1994-08-01; 66.2: 221-31. Have malaria parasites three genomes? Parasitology today (Personal ed.). 1991-06-01; 7.6: 134-6. A circular DNA in malaria parasites encodes an RNA polymerase like that of prokaryotes and chloroplasts. Molecular and biochemical parasitology. 1991-01-01; 44.1: 115-23.